For many gourmet chefs, self-proclaimed foodies, and microwave connoisseurs alike, a big, beautiful kitchen is the ultimate dream. The perfect cook space might include a huge island that doubles as a dining table, seemingly-endless cabinetry, integrated appliances, and plenty of room to move ... or even dance. Hey, it's a dream, right? So obviously you'll need to be prepared for the day you strike it rich and win the lottery. To aid in these efforts, here are 15 large kitchens to inspire the planning of your magical culinary refuge. And bonus: There are plenty of design tips here that will benefit small kitchens, too. 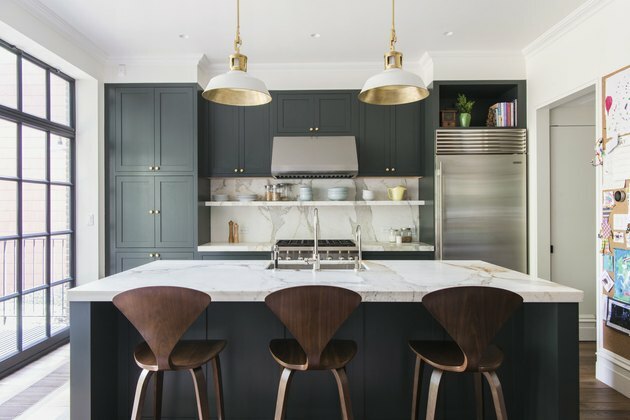 Interior design firm Consort knows a thing or two about luxury, and this handsome kitchen is the undeniable proof. The open floor plan flows between the kitchen and the dining area, so the space feels larger than it actually is. This layout also creates more opportunities to drool over the dreamy dark wood cabinets. 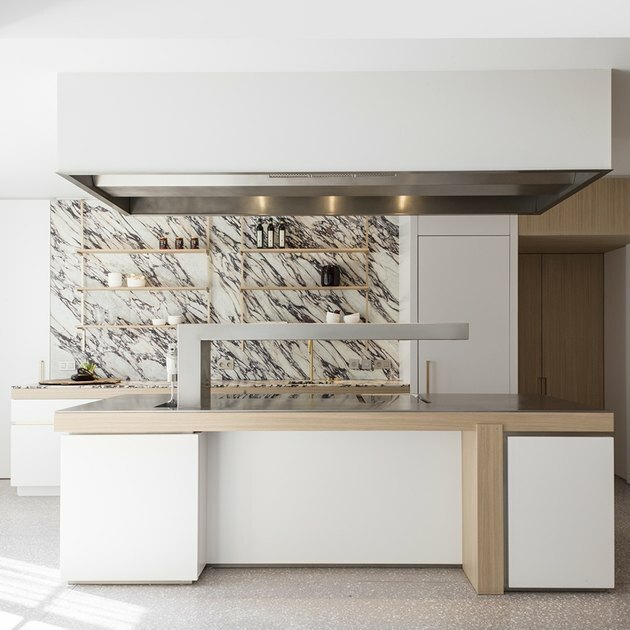 This kitchen, designed by Handelsmann and Khaw, is already very spacious, but the light wood cabinets — that continue all the way up to the second floor — make the kitchen seem so much larger. 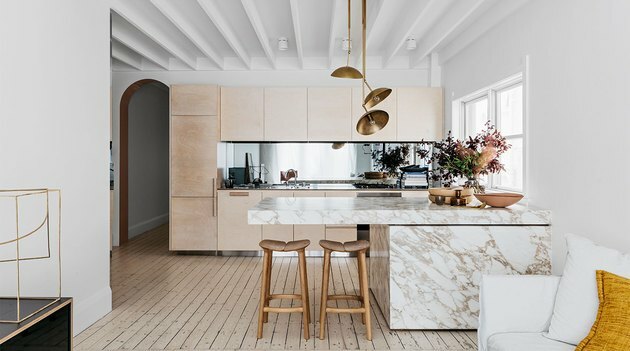 And can we talk about that stunning marble island? Obsessed. To make a kitchen look even bigger, draw the eye up toward the ceiling. This kitchen designed by Lynn Leonidas does a great job of this thanks to floor-to-ceiling cabinetry, glass door upper cabinets filled with books, a rolling ladder, and eye-catching pendants. Any chef worth their salt is going to have their own herb garden. But who wants to go traipsing all the way to the backyard for a little basil? Thanks to this clever design by Blakes London you don't have to. 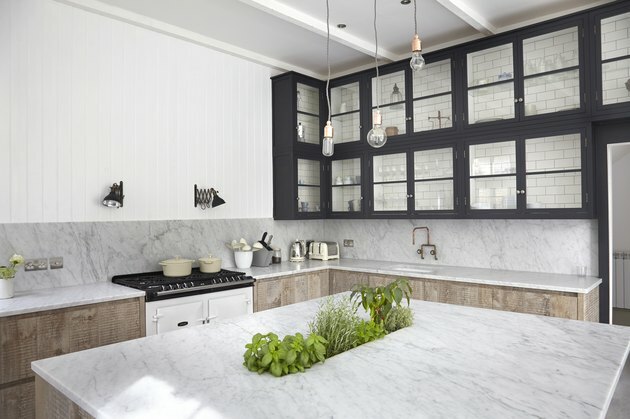 If you have enough room, opt for an indoor herb garden right in the center of your kitchen island, instead. 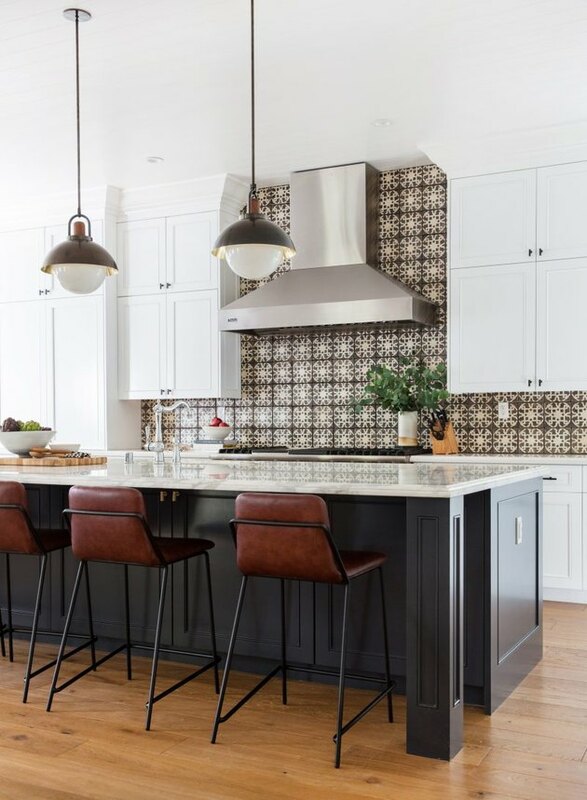 A large kitchen is a pretty luxurious amenity, but you can still kick it up a notch with elegant elements as well, like a statement tile backsplash. 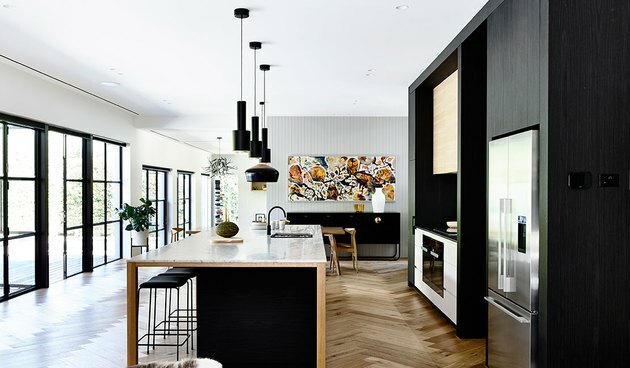 Interior designer Amber Lewis did just that in this gorgeous kitchen, complemented by a black island and black pendant lights. An all-white color palette tends to make spaces feel bigger and brighter, which is awesome. However, in a large kitchen the design can get lost in a sea of white, so it helps to integrate a darker hue to add balance. 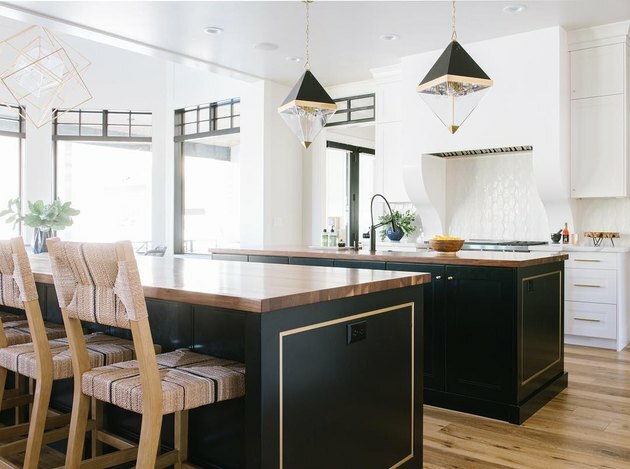 In the case of this kitchen designed by Austin Design, a black island, cabinets, and pendant lights serve as bold focal punctuation. Windows welcome natural light and spectacular views, both of which are essential in any dream kitchen. 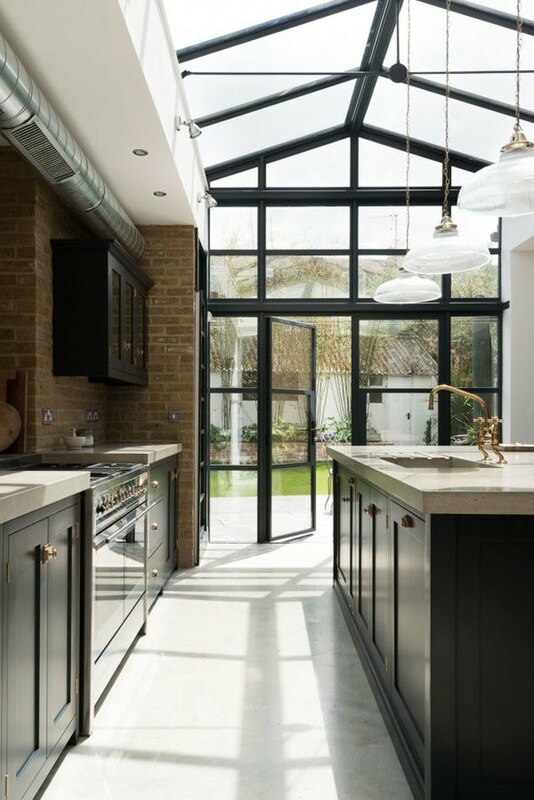 To tackle that design challenge, consider a greenhouse-style ceiling and windows like the ones seen in this culinary gem designed by deVOL Kitchens. Then you can enjoy whipping up gourmet meals under the sun and the trees or the moon and the stars. Now that's living. A large kitchen provides the chance to play with striking and lavish decor, so don't be afraid to go all in. 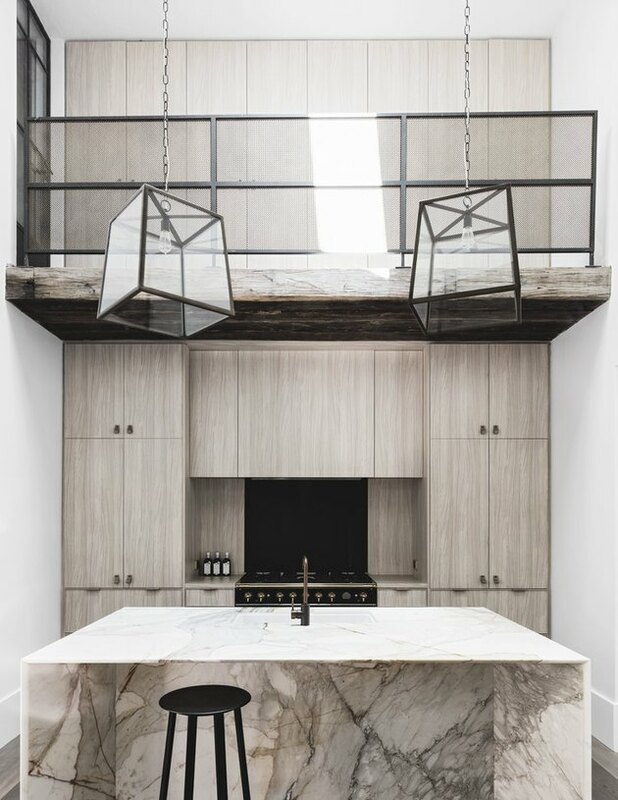 This expansive kitchen designed by Decus proves that a few eye-catching details can go a long way, like a marble island with gorgeous veining and stunning, artistic light fixtures. 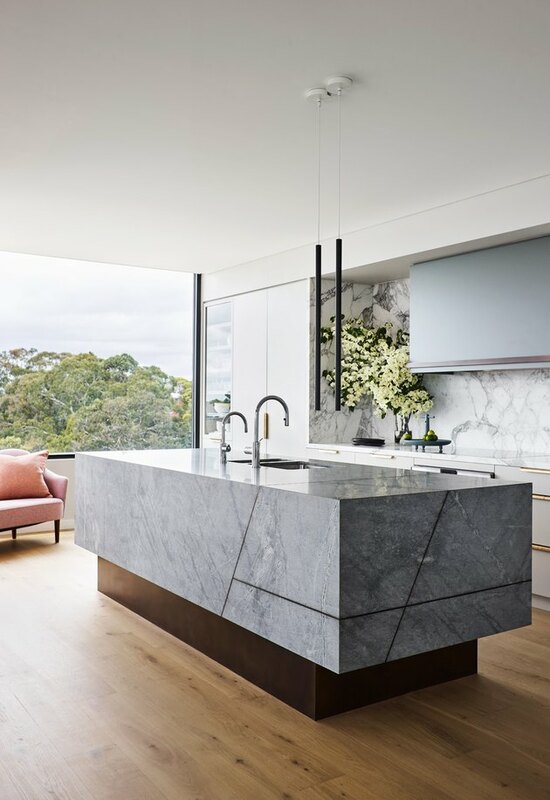 And speaking of striking and lavish decor, an insanely beautiful marble backsplash like the one seen in this kitchen designed by Obumex is definitely a must. 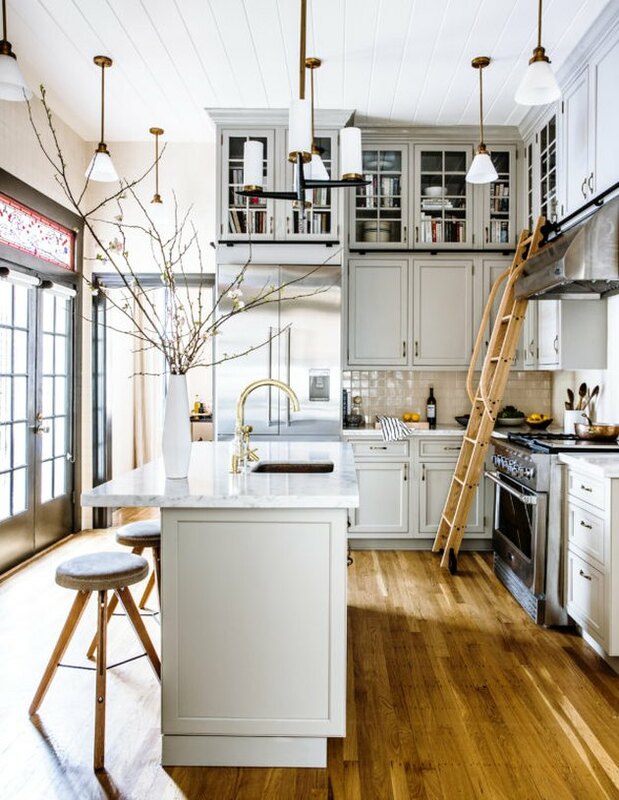 Complete with oh-so-dreamy open shelving and a gooseneck faucet this space is almost too pretty to cook in. When you have a big kitchen, you likely have a big island, too, which is an opportunity to line it with unique barstools. 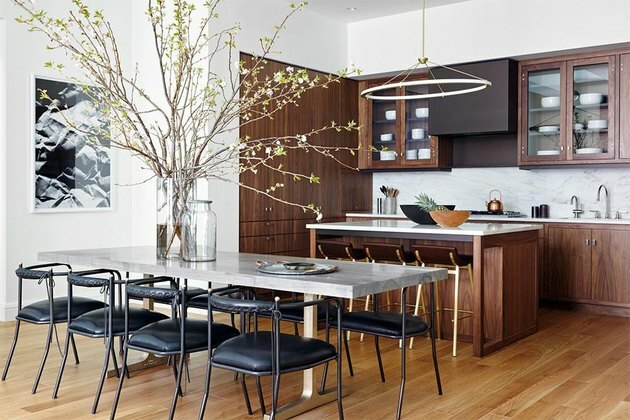 Interior designer Elizabeth Roberts went with the iconic Cherner barstool for this Brooklyn cook space. Swoon! Go for it — install two islands instead of one in your voluminous kitchen. In this space captured by photographer Rebekah Westover, two islands make perfect sense with one serving as a workstation and the other offering a place to eat. 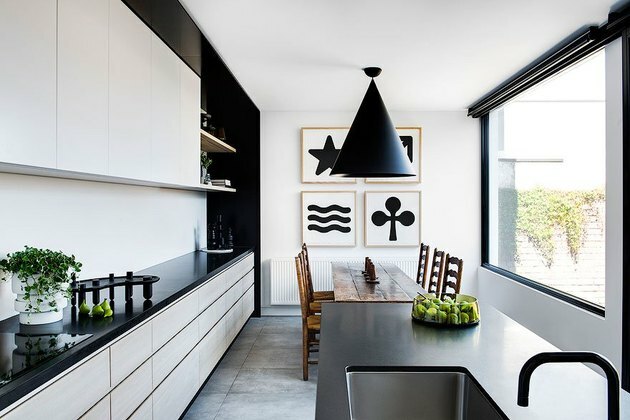 We're also loving those geometric light fixtures. If you have a large kitchen with an incredible view, you've really hit the jackpot. Take advantage of your good fortune and bring the outdoors in with floor-to-ceiling windows, like this culinary space designed by Arent and Pyke. Bonus: The natural light will beautifully highlight your show-stopping design and your culinary masterpieces. A large kitchen is a great place to practice minimalism. After all, why clutter up a space that's meant to feel clean and open? 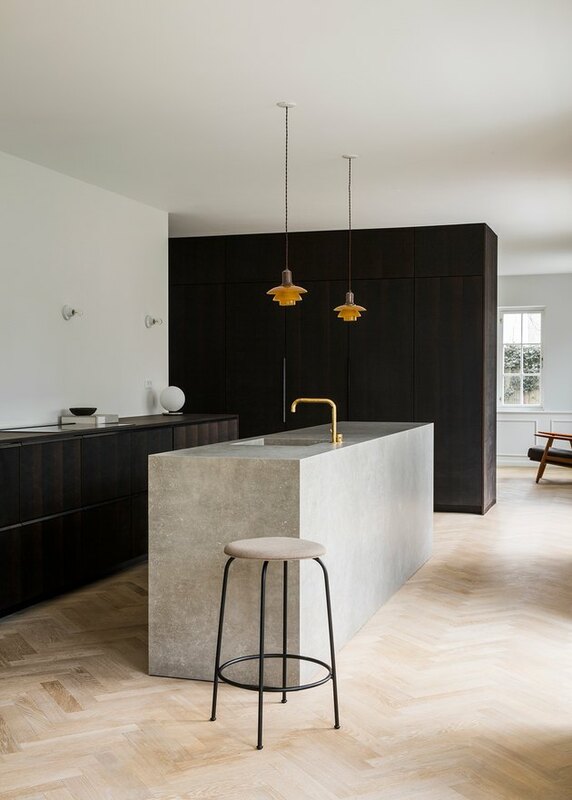 This culinary design by Norm Architects features striking elements that enhance the space without overwhelming it — such as the rich, dark wood cabinets with integrated appliances, a marble island, and herringbone wood flooring. You're allowed to have more than one true love, and you can even live with both of them. Risqué we know, but life was meant to be an adventure. Follow the lead of SJB Interiors and turn your kitchen into your own personal gallery space where you can combine your passion for cooking with your love for artwork. Release your creative wild child and express yourself by covering the kitchen in your favorite colors. 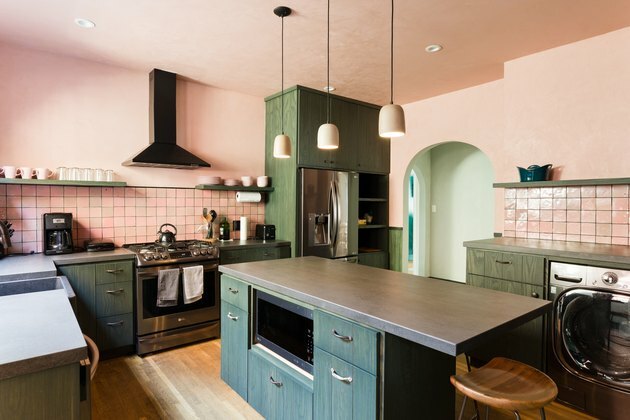 This culinary space — belonging to Michael Kaminsky and Mel Keedle — showcases a pink ceiling and walls along with green cabinets and floating shelves. And the cherry on top ... ceramic pendant lights handmade by Keedle.